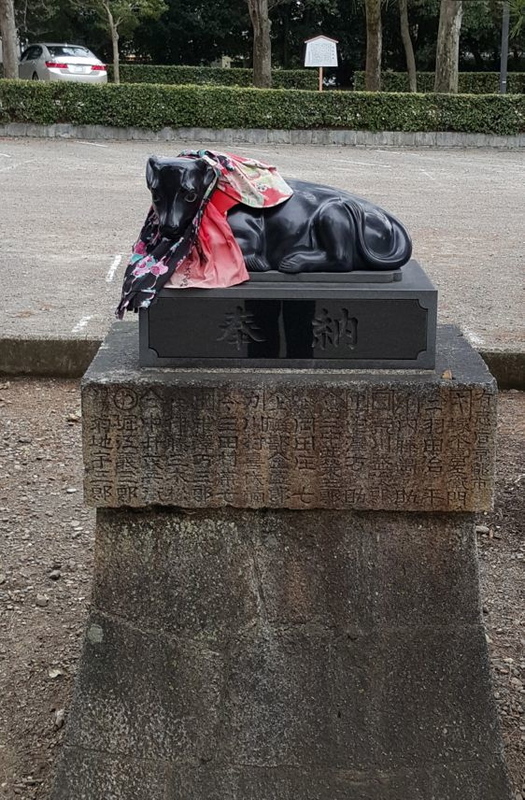 On Thursday our plans were to spend the afternoon visiting the hospital where Yohei’s friend is in order to participate in some volunteer work there, and then in the evening go to the public bath where Shri Mahayogi used to go when he was a child. After lunch, Yohei led us to Utano Hospital, located on the west side of Kyoto City. On the way there, near the end of the journey, the roads became full of really steep hills and the ups and downs of the journey made for quite a challenging bicycle ride. When we arrived at Utano hospital we met Yohei’s friend, Toki. Yohei has known Toki, who is 19 years old, for one year now, after meeting him through Toki’s friend, for whom Yohei regularly volunteers to take on the role of personal attendant. Yohei first met Toki at a group meeting for people with challenging physical conditions similar to that of Toki while volunteering to attend Toki’s friend. 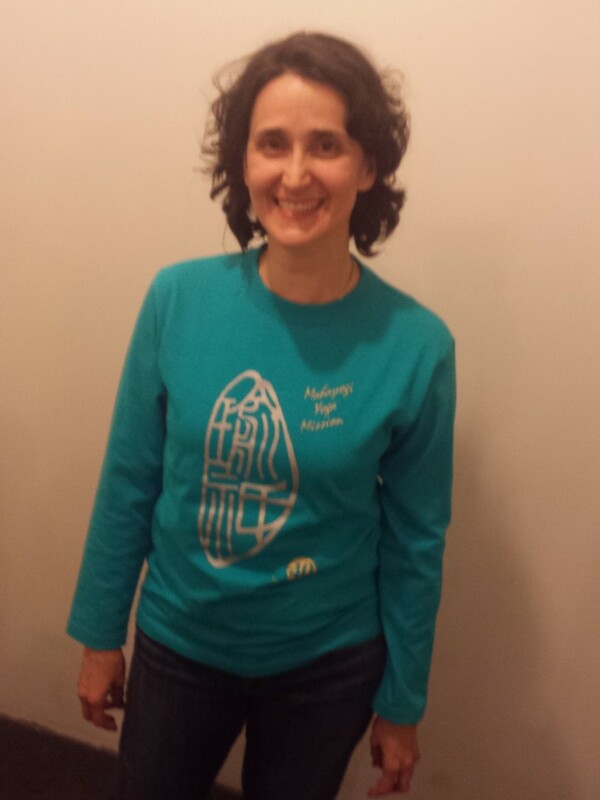 This group had been formed so that its members could come together to connect with each other and create fun activities together. 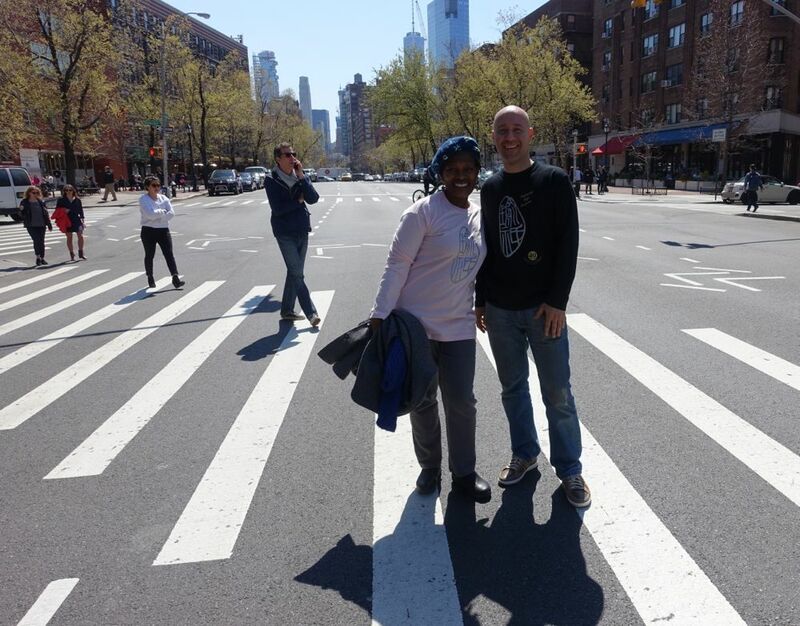 The group outings that were organized provided ongoing opportunities to regularly spend time together and share life experiences. 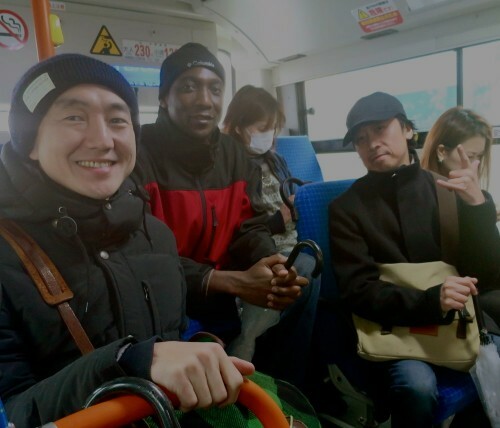 Both Toki and his friend, who was assisted by Yohei, were regularly attending and participating in these community activities. Toki is a very bright and active young man who is one of the central figures of this group, since he created and now maintains their website all by himself, moving the computer mouse with his chin in order to do so. 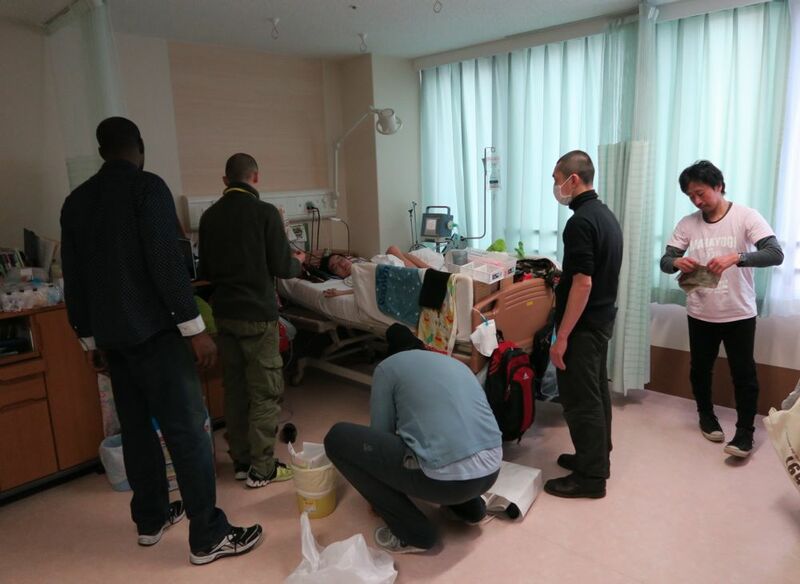 Toki has been hospitalized there since primary school because of his physical condition, and has attended only schools affiliated with this hospital. Anyway, certainly, it must have been a big surprise for the nurses there when all of a sudden, we strangers showed up as a group, including these tall foreigners. Toki was the only one who knew that we were coming. Yohei introduced us and we then started to clean the area around Toki’s bed in the room that he shared with three other patients. The area for us to clean and organize was not very large considering there were twelve hands, so there was not too much work to be done in that sense. But it was very nice to meet Toki and have a chance to observe and learn directly from the work that Yohei does as a social worker. Yohei was so natural and attentive with him. After that, we were planning to have dinner out at a restaurant but it was early, so we passed the time at a small local café nearby. There Yohei began to tell us about his karma yoga practice. 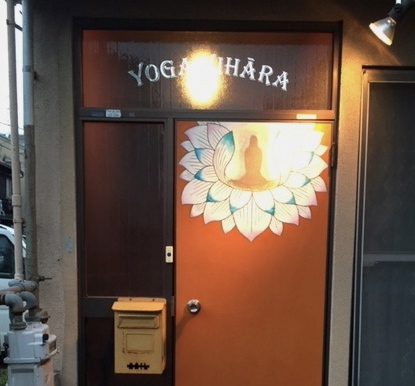 He said that he used to think that karma yoga was the practice of serving the poor or those who are in difficult situations, and so he would sometimes go to Fukushima, which has been deeply suffering since the earthquake disaster of 2011. 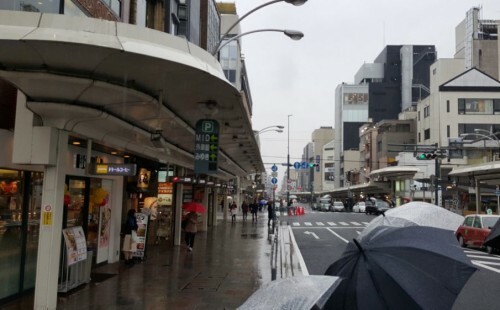 However, Yukti, who has moved to Fukushima to serve people there by working as a nurse, always told him that he should find ways to continuously serve the people of Kyoto. He did not understand the meaning of what she said, but recently he has started to realize that he was actually making a distinction between superior and inferior work. So now he makes sure that he performs any and all tasks that arise with the same sincerity, whether it be the work of the Mission, his daily tasks, his job, housework or volunteer work. This local restaurant was the place where Yohei brought up the topic of mauna (spiritual silence) to Nandi by questioning him, “What do you consider to be mauna, and how are you actually practicing it?” “Since you have been prescribed this precious teaching, mauna, by Shri Mahayogi, why have you not thought about how to actually practice it? The fact that you are asking me this question—‘How should I actually practice mauna?’—now is so strange in and of itself.” (From Yohei’s article in Pranavadipa Vol. 17.) Yohei was so clear and went directly to the core of the issue. It seems that it finally hit Nandi’s heart very heavily, and at the same time it seemed that something shifted in Nandi at that moment. Nandi immediately became quieter. Yohei not only pointed out Nandi’s issue but he also explained to him by way of an example how important it is to have a concrete goal, and to think concretely about how to attain that goal. Yohei was so clear and charged up about all of this that he could not finish all that he wanted to say, so we decided to continue our talk after leaving the restaurant. We could have gone back to Shanti Kutira, but since the public bath we were planning to visit was located in between Shanti Kutira and the restaurant where we had dinner, and we also felt it would be more refreshing to talk outside of Shanti Kutira, we were left with no choice but to return to the same café where we had gone just the night before with Sananda. 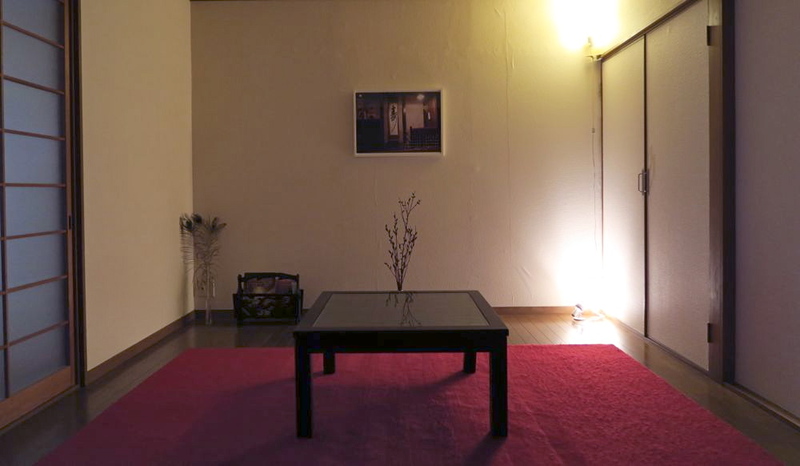 At the café, Yohei spoke about the importance of clarifying one’s ideal and making it concrete. 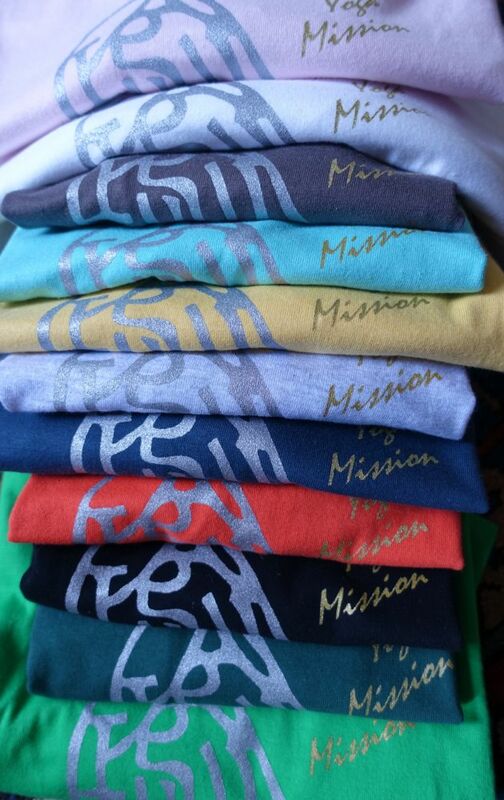 He asked each of the NY brothers who their ideal Realized Being was. Nandi answered right away that it was Shri Mahayogi. But Yohei said that it is important to have someone as your ideal who started out like us and realized the Truth through great struggle, and then to meditate on him or her. The reason this is necessary is that it is extremely difficult for our minds to concretely grasp the Realized Beings who are at the level of avatar, who were born without karma for the sake of the people that they might awaken into Truth. However, if we meditate on the former level, we will be able to understand and learn from the concrete efforts of those individuals and how they went about attaining the goal. Aniruddha was silent while he was listening, but then suddenly he said, “I understand now that my faith has been very intellectual, and what I need to do from now on is act on my faith.” When Yohei asked Aniruddha about his ideal, Aniruddha said that it was Vivekananda because Vivekananda is so straightforward, and he receives much courage from that straightforwardness. 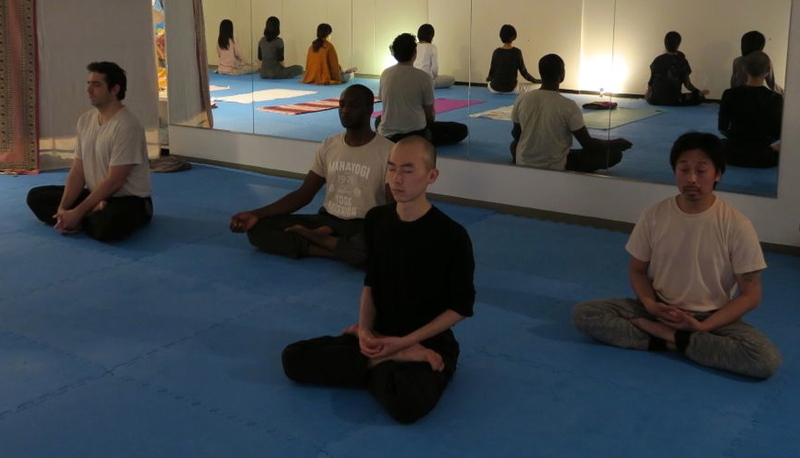 Taka was concerned that a lot of the questions that the NY brothers asked were only about how to meditate so far, so then he started to speak about the fact that although it is true that there are some logical instructions that can be given about how to meditate, in the actual practice of meditation, there are only two states: concentrating or not concentrating. Therefore, what is crucial to advance in the practice of meditation is a keen sense of urgency toward the object of meditation. He then spoke about his experience, that sometime back when his object of meditation was not yet solidified, in other words, around the time when he did not understand how he actually wanted to be or what he was keenly seeking, he single-mindedly thought about and investigated first what he was truly seeking and how he wanted to live, regardless of whether he would consider practicing Yoga or not. This took him nearly one year. He realized that there was nothing that he was particularly attracted to in this world and through observing his mind daily, it became clear that the condition of his mind differed from day to day, constantly changing and shifting. He realized that he couldn’t rely on his mind at all. And what’s more, when he reflected on the reason for which he was living so far, he sensed that he was somehow always seeking ecstasy, or bliss, and that he did things or was attached to things by this motivation to taste and experience that ecstasy. He further considered what the ultimate of ecstasy actually was: in Yoga, it is said that the ecstasy, the bliss, continues endlessly, and that there is nowhere that it does not exist—not only that, it is the essence of the Self. He then felt that This is what he must realize, no matter what it would take; he must realize It at all costs. After that, there were periods in which he continued practicing disciplines of Yoga all the while thinking that he would not mind dying if it meant that he would be able to experience that ultimate ecstasy. So, what he realized through that process was that what he senses when the “I” consciousness is fading away, and what he senses in the process of meditating on Existence, Awakened Beings or Saints who have realized that ultimate ecstasy, is exactly the same. After all of that he finally started to understand little by little what he really wanted to realize and how he should proceed with his meditation. Now he is working on that so that he can proceed further. Then, with the importance of a proper diet for the practice of Yoga, the conversation naturally turned to this topic. 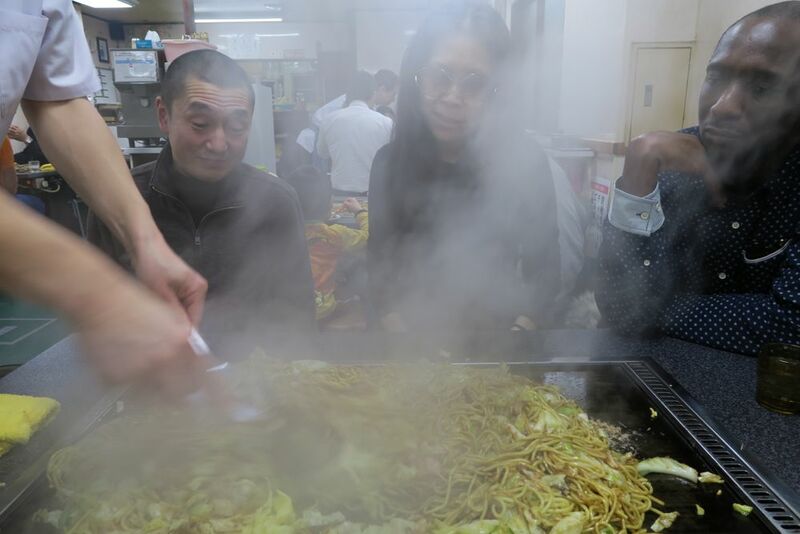 The NY brothers re-learnt that vegetables should be the primary side-dish, and tiny fish would not be a problem, but large fish and meats, are not recommended. 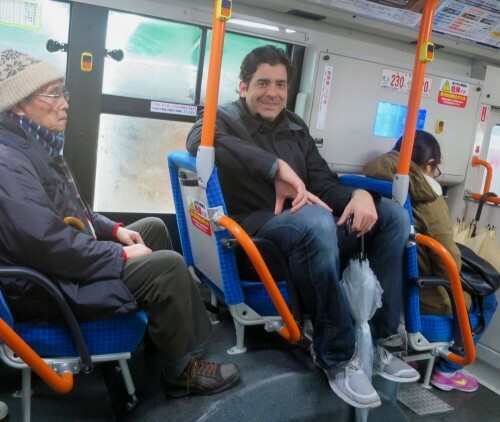 Ryan asked to hear more about the details of the fish that are acceptable and with what frequency, so Taka spoke about it through his experience. 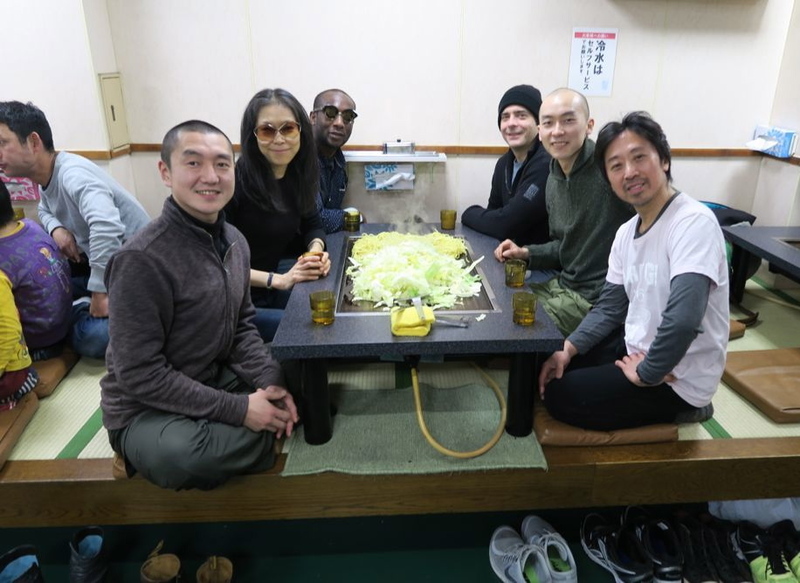 The Mission in Kyoto has been conducting a cooking class called The Kitchen of Samarasa, and it is through this program that the disciples in Kyoto have been learning the spirit and philosophy of dietary matters as well as a concrete way of preparing meals according to the seasons. Taka was almost vegetarian before he started practicing Yoga, so he did not have any issues with refraining from eating meat. However, since it was not something he was accustomed to, meaning he had not established the dietary habits of cooking his own meals at all, he was hungry for this knowledge that would help him form his dietary habits based on the teachings of Yoga. In order to proceed in deepening the practice of asana and meditation, it would be necessary to base his meals on seasonal vegetables, and so he started to cook his own meals right after beginning the practice of Yoga. His mindset was that everything could be a learning opportunity, and therefore he practiced and disciplined his dietary habits in accordance with the teachings of Yoga. Around the time that two or three years had passed in this way, he came to understand the set cycle of the seasonal ingredients and basic cooking methods, and he realized that he had created a set of patterns throughout the year according to what each season necessitated. And it was through the acquisition of this knowledge that he felt that he had naturally come to establish his repertoire or his routine of dietary habits. He used to avoid animal protein at all costs, even the slightest bit, because he was so nervous about consuming it, but nowadays he takes it in a small amount once or twice a year on occasions when socially he cannot avoid it and to the extent that his physical condition does not become affected by it. Now, even though he may take in animal protein on these few occasions, afterwards he simply and naturally goes back to his routine of regular yogic dietary habits, which he has already established well. Therefore, regarding fish, he no longer needs to think about the amount or the size of the fish, because he knows it without having to think about it. Nowadays, he thinks that because he has acquired so naturally through The Kitchen of Samarasa such skills as how to shop, how to time the shopping, and what methods of cooking to use, etc., along with how to manage all of these things, he does not spend much time allowing his mind to think about diet. This is directly in contrast to earlier times when he was thinking a lot about the diet during meditation. He also said that although it is necessary to find ways to practice and to discipline yourself in order to form dietary habits that are in accordance with the teachings of Yoga, that is not the goal; therefore, he constantly tries to remember that he should not confuse the means with the goal. “Minamoto-Yu”—the public bath where Shri Mahayogi used to go when he was a child. 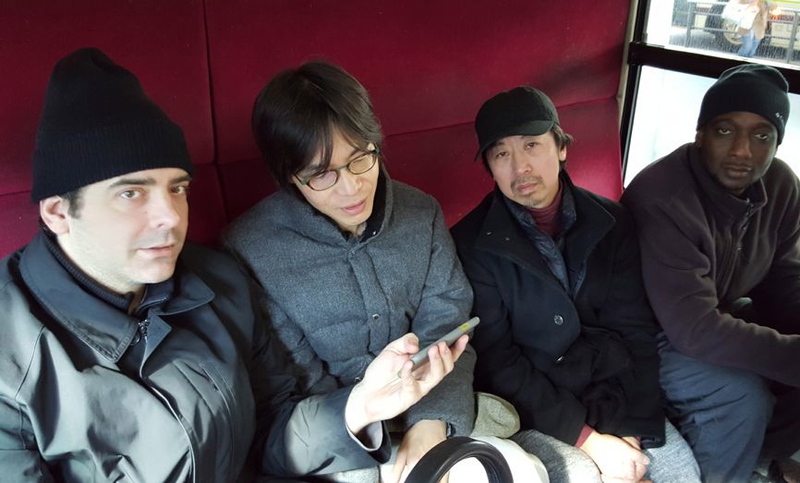 The NY brothers enjoyed it so much that they stayed there for a long time. Aniruddha, who had hesitated to experience it, said, “Now I know why Japanese people love it!” Surely, they all slept very deeply that night. Yohei contributed his current thoughts on the blessing that we receive from meditating on a great saint as our ideal, a great saint who started out like us, and through great struggle realized the Truth. I felt that through taking the first step of choosing or finding my ideal being, the motivation to get closer arose, and because of that, when I read the sacred words of the particular saint I chose, I felt that it was not the knowledge or the understanding through the intellect that I received, but rather, I felt that something was resonating within me. Also, by meditating on that particular saint, I experienced some visions that were not written in the book about that saint, or I had experiences of touching the heart and the spirit of that saint. However, these experiences were only in the realm of meditation, in other words, these are mere experiences in meditation. The thought came to me that I need to make what I experienced practical, so I felt that I must act like that saint in reality. Yet that was very difficult. Through putting their examples into my actions, only then did I realize that I was only imitating the external aspects of that saint, but I did not actually grasp his essence. “What do I need to do?” “What is lacking in me?” I asked. I felt that that realization led me face to face with my personal issues, and it defined them. It is not so easy to tackle your own personal issues, because you need to look at your negative parts, the parts where you are weak or need to change and improve. But having a concrete goal or an ideal being supports you to raise yourself up and to keep working positively toward that. It may be a bit off track, but I remember that years ago when I was watching Sumo-wrestling matches, an interpreter said that each sumo-wrestler has their ideal or aim toward the particular wrestler, but the ones who keep making much progress have very concrete, particular and detailed views. For example, they would say, “I like this specific way of how this particular wrestler grabs the mawashi (wrestler’s belt).” So in a way, having such a concrete ideal has brought many blessings and benefits in all kinds of fields. But still, there is a difference between Yoga and other fields: “the presence of an avatar, the absolute existence”—and that is the second blessing. Over the course of their development, all the great saints carried on with their hardships regardless of the fact that they may have been conflicted within themselves, and all the while they were taking the orders of the guru with utmost seriousness in their hearts, and they accomplished that. A bit tired here as the days are intense, going from the early morning to late in the evening. On Tuesday morning, we went to see an exhibit of Japanese swords at the Kyoto National Museum. 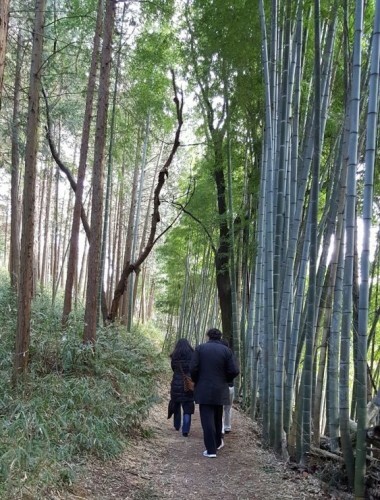 While Kripalu guided the NY gurubhai through this exhibit, Anandamali and Yohei reviewed their stay in Japan so far to see how to best support them so that they could get the most out of it. Both of them felt greatly concerned that even though a great deal of inspiration had been shared over the course of their various discussions, if it only remained at the level of discussion and was not applied in daily life, there would be no real transformation that would come to the NY gurubhai. 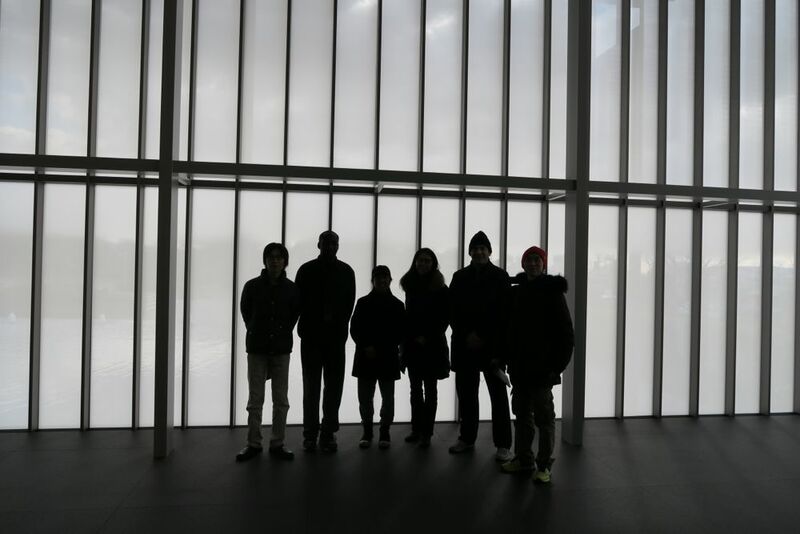 It would be a great loss if the trip became simply a good memory, producing little to no effect after their return to the wilds of New York City. Shri Mahayogi graciously accepted to hold satsangha for them the next day, and there would be an Asana & Meditation class that night, but other than that there would be no MYM classes or activities on Thursday or Friday, so Anandamali requested that Yohei find opportunities in which they would need to take action and use the physical body. They had already heard so much from the gurubhai in Kyoto, so the time had come for them to be proactive, no more being passive! Yohei had some ideas and immediately started to call his friends. The schedule for Thursday and Friday was arranged then. We had a little time to have some fun before the class! Is Aniruddha’s external transformation a reflection of his internal transformation?? 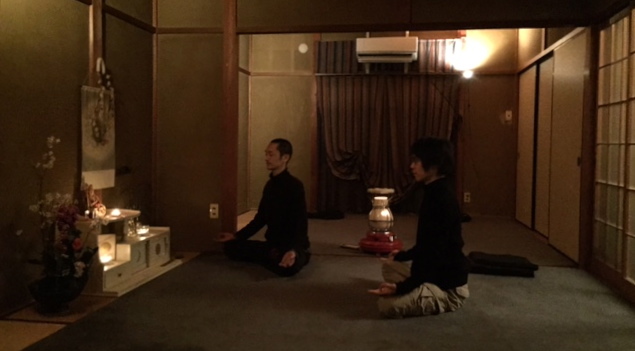 After going back to Shanti Kutira, Yohei and Aniruddha, who is the senior disciple of the three brothers (gurubhai) from New York, came to Yoga Vihara late at night. Anandamali called a meeting to discuss further details about the rest of the trip in Kyoto. We were also concerned that Ryan did not seem very cheerful, somewhat heavy, and somehow it was difficult to get sense of how he was doing. So we decided to ask him the next day what motivated him to make this visit and what it was that he would like to accomplish during this time. “Anandamali-san, something good is happening here! We have been talking together for some time. I am not sure what the details are of what they are saying because everything is in English, but it seems that Ryan has started to open himself up, and they are all crying. I feel a strong bond forming among the New York gurubhai!! !” As Anandamali arrived at Shanti Kutira after lunchtime, Yohei opened the entrance door and immediately announced this. Indeed, they were all sitting in that multi-purpose room talking, and Ryan seemed completely renewed. He looked so much lighter, cheerful and natural. He spoke about his life, and it seemed that something had been released from him. It was very beautiful to see that, and it was so beautiful to see that they were all supporting each other’s growth. Yohei gave a lot of detailed advice to Ryan, all of which he wrote in the article that was published in Paramahamsa Vol. 114, and its translation into English in Pranavadipa Vol. 17. It was so beautiful to see these brothers. Yohei spoke carefully, sincerely, respectfully and straightforwardly to Ryan, and Ryan accepted so sincerely and without any defensiveness everything Yohei pointed out and advised. At 2PM, we were at the Ashrama for the satsangha that would be only with us and Taka. Perhaps it was because the NY brothers’ visit to Kyoto was in its second half, and after having received so many blessings from Shri Mahayogi through his disciples, hearing so many explanations of the teachings and seeing actual example after example of what the real practices are, which might have amounted to more than what they could receive and process, along with the fact that it was now time for them to digest what they had learned and put it into action, there were not many questions asked of the Master. Instead, Ryan, for the very first time, opened up his heart to Shri Mahayogi and spoke very openly about his life. Shri Mahayogi just kept listening to Ryan with a tender smile. That day, Shri Mahayogi gave a spiritual prescription to one of Ryan’s habits: stop consuming snacks and sweets. 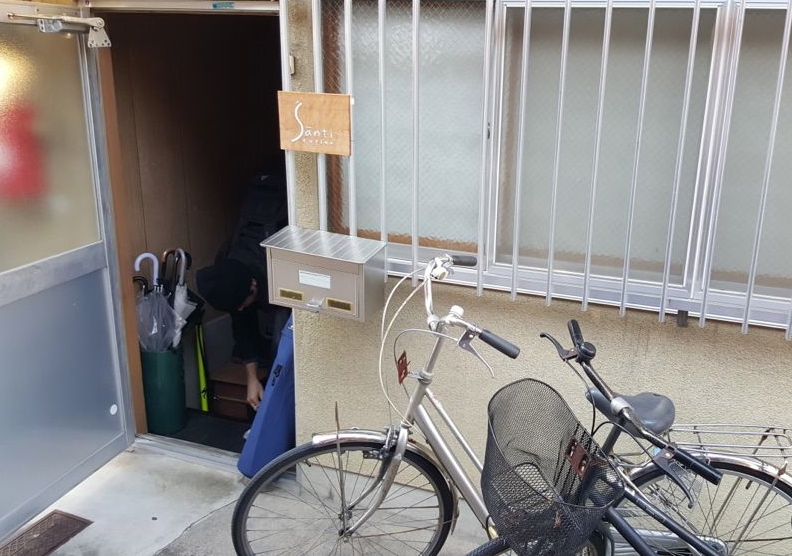 He then told us to leave the Ashrama and try to go to catch Sananda in Nagaokakyo City before the class that night and ask about the practice of discrimination if there were any further questions about it. This may be one of the ways that Shri Mahayogi is guiding both senior and junior disciples so that we can grow and mature at the same time. So then we bowed down with utmost gratitude to the Master and left the Ashrama, following his advice. The time we are able to spend with the Master was and always is so PRECIOUS, NO MATTER WHAT!!! HIS SMILE MAKES EVERY CELESTIAL BEING HAPPY AND BLISSFUL. WE LOVE YOU DEAREST SHRI MAHAYOGI, OUR MASTER!!! JAI, JAI, JAI !!! Here is the photo taken of the NY gurubhai right after the satsangha at the Ashrama, before we left to go to the Asana and Meditation class. 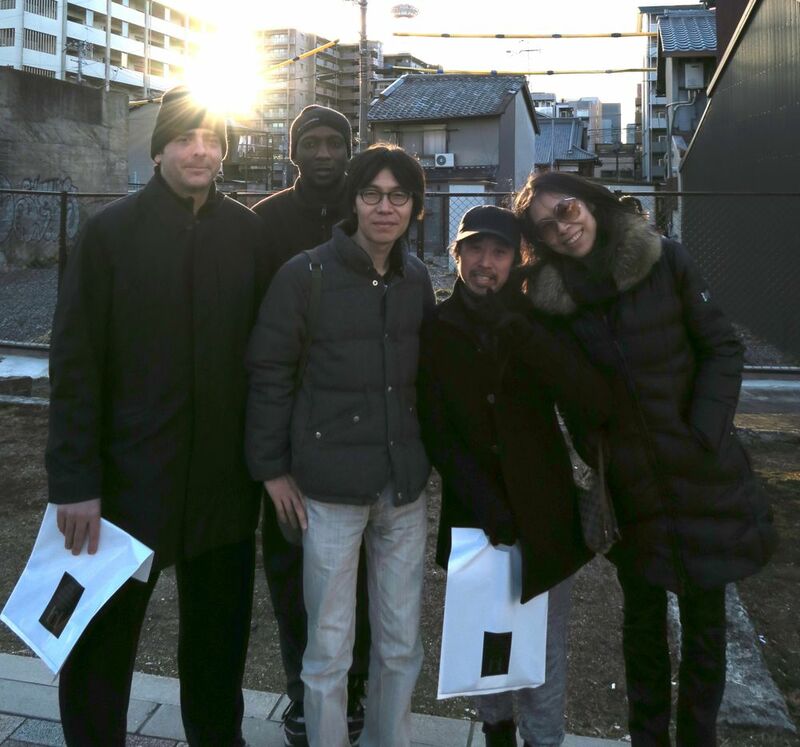 After we left the Ashrama, we bicycled to the train station and took the train to Nagaokakyo City, outside of Kyoto city, to take the Asana and Meditation class led by Sananda and Madhri. After helping to set up the classroom, as Shri Mahayogi had suggested, they started asking Sananda questions. Nandi had been told by Shri Mahayogi to deepen his meditation. So Nandi asked Sananda how he could deepen his meditation, because his mind is far too active. Sananda responded that he should try to make time to spend quietly, and practice mauna, spiritual silence. During the class, Sananda checked Aniruddha and Nandi’s asana carefully. And Madhri checked Ryan’s. 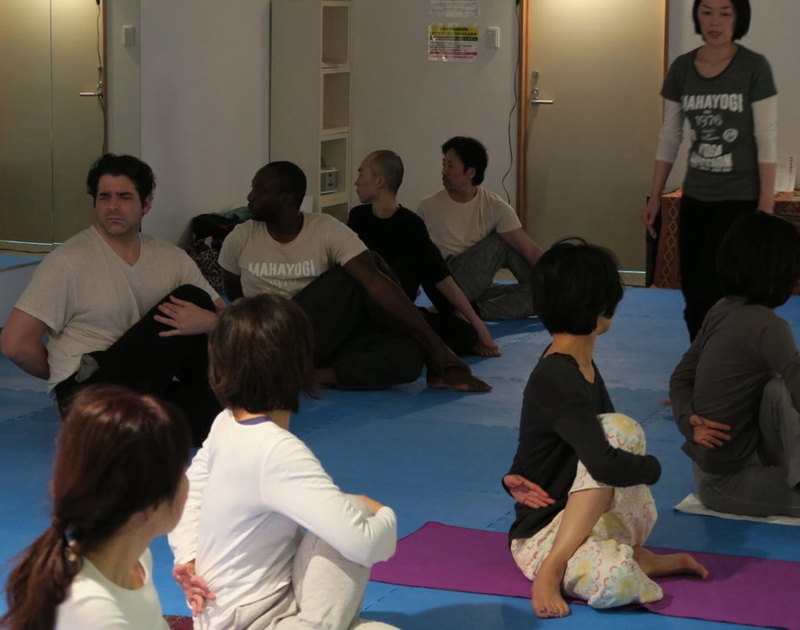 According to Aniruddha, it was the most intense class out of all the classes he experienced in Kyoto. After the class, we had another opportunity to spend the time with Sananda, but it was not easy to find a café open after 10PM. Plus, with Taka and Kripalu we were 7, which made it very difficult to find seating. So Sananda and Kripalu ended up driving us to Kyoto City, to a café that was open 24 hours near the Ashrama. 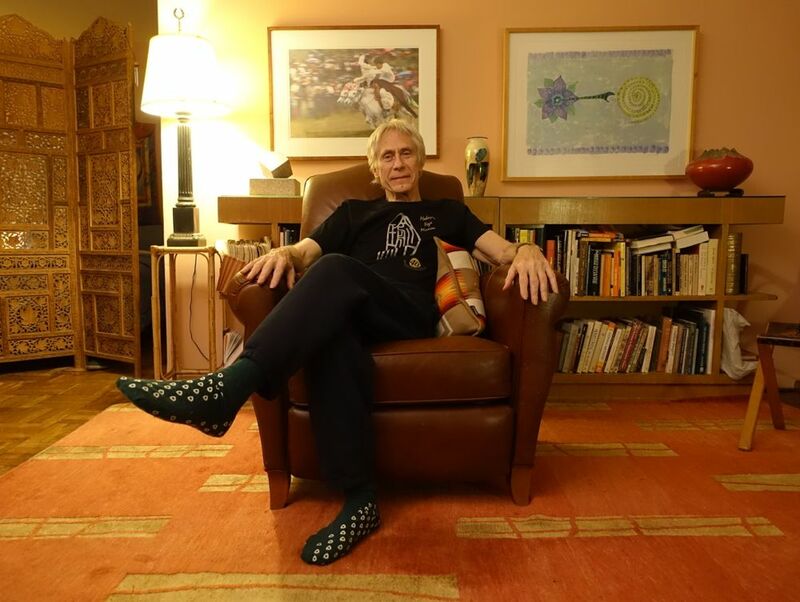 This night was the first night that Ryan had an opportunity to ask Sananda questions, since the first night when Sananda visited Shanti Kutira, Ryan could not stay up because of jetlag and exhaustion. So Ryan asked Sananda many questions about discrimination. 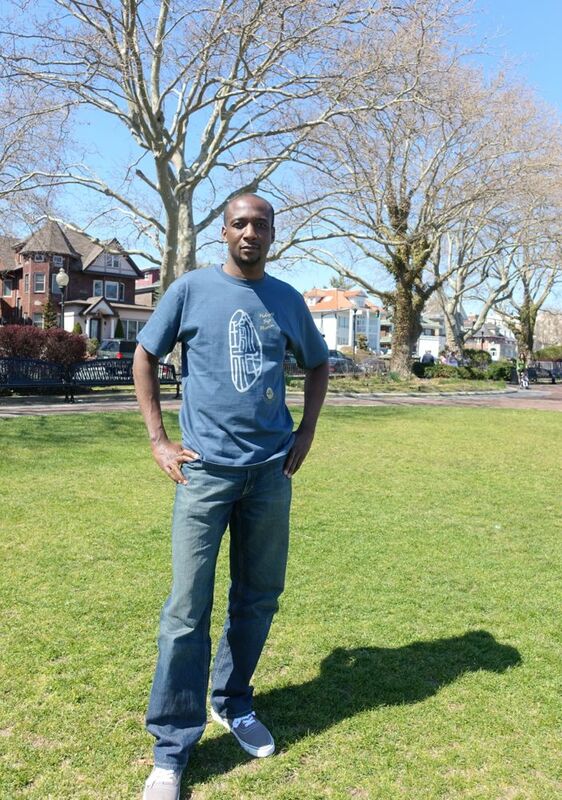 Ryan was very impressed with Sananda, who answered his questions very clearly, without any trouble or vacillation. Aniruddha expressed his honest concern that there is a part of him that has not been able to put himself into practicing Yoga completely. 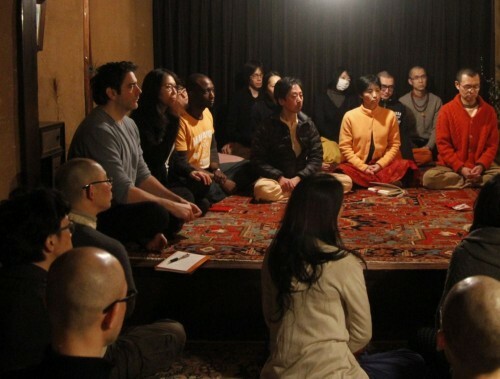 Taka then responded through his experience and thoughts on this, mentioning that in the book “Pranava Sara” (The Gospel of Satguru Shri Mahayogi Paramahansa, published in 1999 in Japanese only), there is a part in which Shri Mahayogi advises that disciples live together in order to deepen their practice. Taka, without thinking too deeply about it, just decided to follow this advice. He then rented a house with Yohei, who was also looking for a gurubhai to live and share a house with. By living together with gurubhai, every single thing in daily life fully became fertile ground for practicing Yoga. Not only in regards to food, clothing and shelter, because many gurubhai traveling from far distances would often come and stay at their house during the weekend to attend the satsangha with Shri Mahayogi, they were blessed to have many opportunities to share the teachings of Yoga as a course of nature. Last year, Anandamali also stayed there for some time, as well as other gurubhai from New York and Taiwan who had longer stays. The blessing they have been receiving has at times been more than what they can receive, and at the same time, they have also been experiencing many lessons. He never imagined how it would unfold before he started living with a gurubhai, of course. What it has become is far more than what he could have imagined. From this experience, he understands that if we put Shri Mahayogi’s advice into action, then blessings and challenges beyond our imagination will be bestowed upon us; and he feels that that is an exemplification of, “if you get closer toward God, even if it is only one step, God will come closer to you multiple times more than that.” What’s more, he feels that the same thing can be said to the NY gurubhai, because they came to Japan and got close by opening themselves up to the Guru, and therefore they have been experiencing far beyond what they could have imagined before coming to Japan. 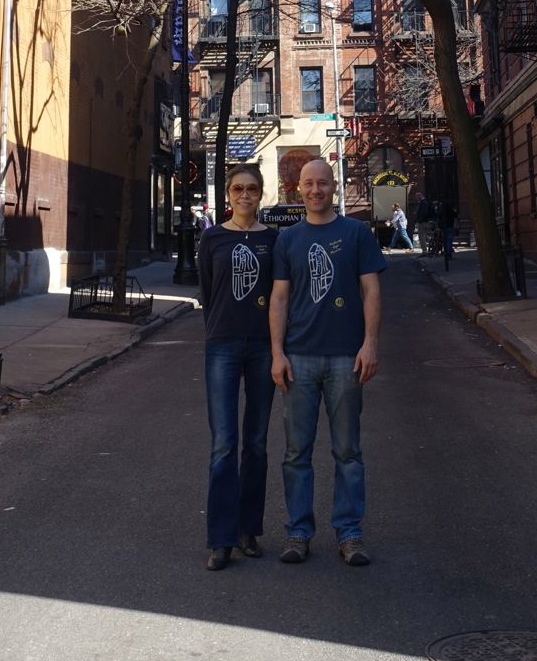 Taka concluded that the first thing they must do upon returning to New York is to put this all into actual practice without hesitation—and that is vital. From that day on Ryan’s demeanor noticeably changed. The great thing about Ryan is that once he understands, he understands. Renunciation comes naturally, and the power of attraction is no more. And starting the next day, he did not have any reactions to those things at all, as if he had never had them before. The living-dining room at Shanti Kutira, where the gurubhai would meet, have meals, practice daily meditation and, on the days when there was no class, practice asana. 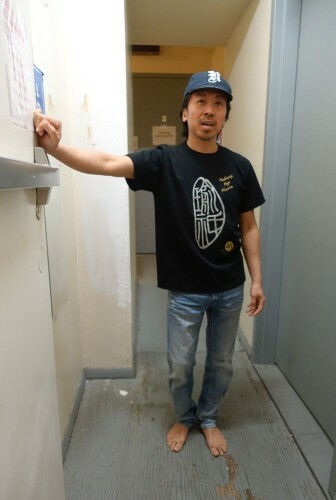 On Monday, both Taka and Yohei were working the night shift that night, so they didn’t arrive home until around 9:00 or 10:00 AM. Regardless, the NY gurubhai began their sadhana and house cleaning at 6:00 AM and made breakfast all by themselves. They also took care of the laundry. 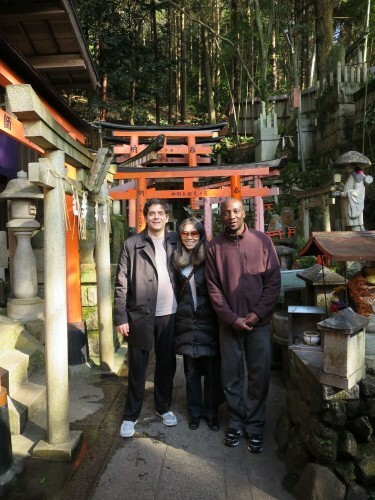 Before noon, Anandamali joined them and took them to the Shinto Shrine of Kitano Tenmangū (photos in Echo 40), which is 10 minutes by bicycle from Shanti Kurtira. We then had a Yakuzen lunch (medicinal Korean meal) near the site, and spent a good bit of time talking amongst ourselves about this trip and their impressions of Japan. Since the NY gurubhai were scheduled to attend the 2-hour self-practice meditation at Yoga Vihara that night and then spend time with Yogadanda after that, in the late afternoon they practiced asana and meditation at Shanti Kutira by themselves for the first time during this trip. In the evening we attended the two-hour self-practice meditation at Yoga Vihara. In the early summer of last year, Yogadanda and Kripalu started to practice this voluntarily—their intention was just to sit continuously in silence for two hours, and to just continue to discipline themselves to practice it regularly every week. Seeing and feeling their persistent actions, other gurubhai became inspired, and now they join them from time to time. That Monday night about eight of us practiced there together. After the meditation, they spent time with Yogadanda. Much of the conversation was between Ryan and Yogadanda and it was about the practice of self-inquiry and discrimination. Nandi asked Yogadanda what he has been meditating on. Yogadanda said that in the past he practiced jnana yoga, but now his meditation is to meditate on Shri Mahayogi, and it is only when the need arises that he practices discrimination in meditation. Then Nandi asked why he switched to a bhakti practice from a jnana practice. Yogadanda answered that he had been practicing the meditation of jnana yoga for some time. He was often told by Shri Mahayogi that passion is crucial for the practice of jnana yoga, but he was not able to understand what that meant. But then he was given the role of Natcheketas in one of MYM’s public performances, “Amrita,” in 2005. He concentrated on practicing for the play all the time, repeating his lines which were filled with the passion to realize the Truth even at the cost of his life, and practicing his role again and again. By concentrating keenly on the mind of Natcheketas, he took the approach of trying to really know Natcheketas, who had staked his life on knowing the answer to the question of what would happen after he died—to realize the Truth. Yogadanda said that he sensed that what Natcheketas was doing—throwing himself completely into the meditation of facing his own death, plunging into death and seeking further beyond it—was the true meditation on death. So he tried to meditate just like Natcheketas did. And in doing so, it was as if he became able to concentrate on the jnana yoga meditation, which intensified his practice. Yogadanda’s concentrated state continued even after the day of the performance, and because at that time his situation afforded him a lot of spare time, he spent many quiet hours in meditation. However, as his situation changed, it became very difficult to concentrate on the subtlety of the process of jnana yoga, so he switched to bhakti meditation. Through his experience, he felt that pursuing the practice of jnana yoga is a very tough thing to do for people of the modern age. Yogadanda also said that sometime after the day of performance, he had the opportunity to go to his hometown in Kyusyu, the southwestern area of Japan. Since he was not engaged in much of the work of the MYM or any other responsibilities at that time, while he was staying at his parents’ house he meditated continuously, except during meal times. He was focusing in the meditation on death. And, in the sense of seeking out the real Self beyond the death of the mind, it was exactly the same as seeking, “Who am I?” or the self-inquiry of the jnana yoga practice. Yet, there was no awareness of what types of yoga he was practicing, he was just in a state where he continuously and simply did nothing but concentrate. Notwithstanding his continuous striving, after ten days of his efforts yielding no fruit, he returned to Kyoto. One night, when Yogadanda was working the night shift as a social worker, as he oftendoes, the result came to fruition. After aiding the receiver of his services in falling asleep, he started to meditate on his futon. After some time, his concentration was interrupted, so he simply lay down. And right before he fell asleep, the intuition came suddenly that, “I am dying!” In the next moment, it was as if an electric shock was running through his body and it went rigid. The body experienced the state of death, then his consciousness became separated from the body. But, right then, the receiver of his services woke up and called for Yogadanda, so he was immediately forced to come back from meditation. Supervised by Satguru Shri Mahayogi Paramahansa. Ryan said that he doesn’t feel that he has pressing issues right now, or that if he does then he cannot go any further in the practice of discrimination, beyond the intellectual level, or that he often easily accepts his desires. Yogadanda advised him that it all depends on how crucial the issue is for the mind. Otherwise the practice of discrimination cannot go further to the point at which the mind itself completely transforms. In the past, Yohei fell into the habit of reading magazines at convenience stores without buying them. But one day it stood out to him that the magazine was spelled Ragtag-Magazine (雑誌=雑+誌) in Japanese. He felt that as long as he continued this habit, his mind would continue to be disturbed, and he concluded that it is the direct opposite of subtle meditation, so from that moment on he completely stopped reading them. After two years of continuously practicing like this, one day Yohei spoke about it to Shri Mahayogi. Then, Shri Mahayogi said with smile, “You have actually become able to discriminate well.” Until Yohei heard these words, he did not think that what he was doing was discrimination on that matter. But Yohei remembered that sometime ago when he spoke about his meditation with Shri Mahayogi, he sensed that Shri Mahayogi uses “name” and “form” when trying to go into the essence of things. So Yohei tried to apply what he had observed and learned from Shri Mahayogi to the magazine. Aniruddha asked for advice on what to do when he has issues that he would like to apply discrimination to, yet he is having a hard time concentrating on actually doing that discrimination in meditation. Yohei answered that Shri Mahayogi once mentioned during satsangha that the mind too has ups and downs, like a biorhythm, and if you cannot do discrimination for whatever reason, then put it to the side and concentrate on God. Yogadanda then explained that when the biorhythm of the mind is low, the issues of the mind are hidden under the sub-consciousness, or not clearly seen on the surface, making it difficult to apply discrimination to them because even if you are looking it is hard to find them. On the other hand, when the issues appear on the surface of the mind, they can be easily grasped. That is why Shri Mahayogi said that if you cannot do discrimination in meditation, then put discrimination to the side temporarily. It was that night that something appeared to start hitting Ryan much more deeply. Beloved Shri Mahayogi is within our heart—Shining!!! Oops! 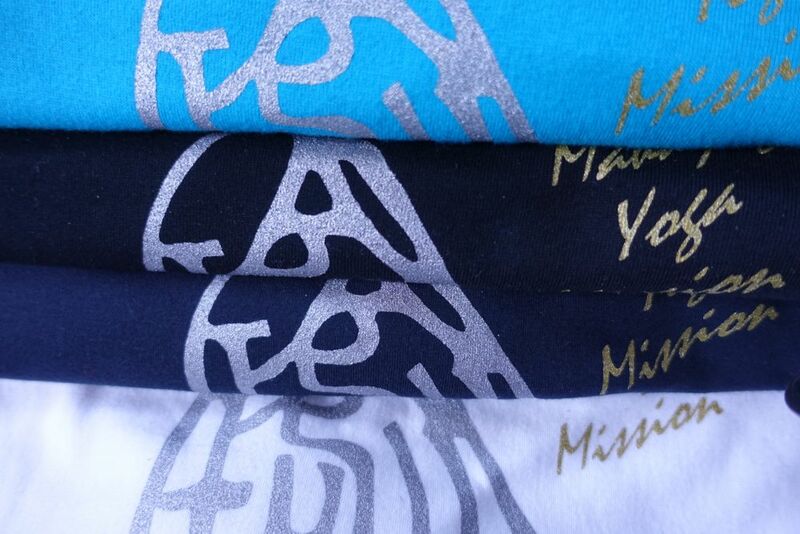 Baby Pink in the first photo is for the long sleeves… Excuse us! with Beloved Shri Mahayogi in their hearts! 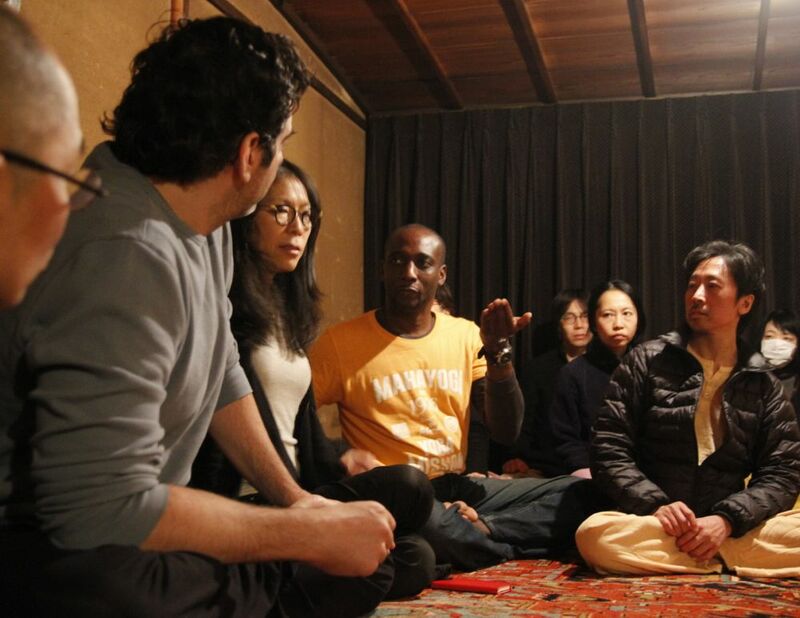 Saturday afternoon, the gurubhai from New York took their first Asana & Meditation class in Kyoto, led by Shantimayi. They were a bit nervous at first, but eventually they blended in quite well. After resting for a little while back at Shanti Kutira, we then set out to attend the first satsangha at the Ashrama!!! It was finally time to reunite with Shri Mahayogi at his residence in Kyoto!!!!!!! You can imagine how excited we were… How long we had waited for this day to come!!!!!!! At the satsangha, Aniruddha expressed his heartfelt need to be free. He could feel that he was always holding himself back, mostly out of being concerned about how others would perceive him. So he always felt imprisoned by what was going on in his own head, knowing that this was the opposite of the freedom he yearned for. Shri Mahayogi was just listening and nodding his head, but he didn’t say anything about it. When asked by Nandi why he feels that others are judging him, Aniruddha answered that his personality is such that he prefers to be reserved, to be the man in the background. He has never sought attention for himself. He was always afraid of being judged. Still, Shri Mahayogi said nothing. Who could have guessed that the answer was yet to come—no, actually what would happen went far beyond any kind of answer. Who knew that something that was beyond an answer, even beyond what any of us could imagine, was bound to come…and so soon! After the satsangha, we had late dinner with Satya, Kripal, Taka and Yohei at Shanti Kutira. With foresight, Taka had prepared the meal before heading to the satsangha. Ryan couldn’t attend the first night’s meeting because he was so exhausted after not being able to sleep well the night they arrived, but this night, Ryan was wide-awake and looking completely alive. Nandi, on the other hand, who was probably over excited at having seen Shri Mahayogi and attending the satsangha at the Ashrama, couldn’t stay up any longer, so he went to sleep right after dinner. As if Ryan was making up for the precious time with gurubhai that he had missed the night before, he asked a number of questions about the recurring theme present in all of the discussions that took place over the course of their journey—discrimination. At some point, Yohei, knowing that Satya had been practicing discrimination, suggested that she share her practice of discrimination. She shared that her tendency is such that if something rises up within her that she is bothered by or concerned about, she cannot think about anything other than that, and this makes her naturally enter into the condition of discriminating on a given issue. In the beginning, it took a long time to process, but she now feels that she has grasped how to get to the core of discrimination, or how to go about discrimination, so her process has been shortened. Discrimination begins by thinking about the matter, (this is the gross level in which she is aware that she is thinking about it, and this is the condition in which she and the issue are entangled). Then, as she continues, gradually, the condition arises in which it seems as if the issue is being looked at from above. By that time, the state of concentration deepens and continues in the depths of the mind. That condition ends too. And then, the condition in which it appears as if the mind no longer contains that issue at all arises. At that time, she is not aware of concentrating, but the concentration still continues. At some point she experiences the feeling of being very clear and light, as if the clouds have been cleared away and the sun has come out into the blue sky. Then all of a sudden at that time, the intuition comes, that “the matter in its entirety will be resolved very soon.” And later it vanishes by sheer chance. Ryan asked her how she knows if the matter is completely resolved or not. She answered that when the issue is completely discriminated, then she clearly knows that the matter is completely separate from her, so that she can never be bothered by it again in any way whatsoever. Since she knows from her experiences the difference between the condition of intellectually understanding it, (in which her mind forcibly tells her “that is ignorance”, “that is the Truth”), and the issue being resolved by actually discriminating, she carries the process through until the very end of discrimination, which results in the renunciation of that issue. And she also explained that the practice of discrimination she is working through is nothing like a big subject such as “death,” but rather it is focused on the agitations within her mind that occur in daily life. For example, it could be something like, “Why does a feeling of “not liking” this person arise?” Or, if she is bothered or disturbed by the words of others, “what is the real intention behind these words?” Or if her negative habits arise, why does she still allow them to continue? She said that hearing the questions that Ryan asked Yohei and Taka gave her the impression that they might be thinking that the practice of discrimination is something very far removed from the matters of daily life. But she feels that discrimination begins by first taking a subject that is closely related to one’s own actions, which is a very concrete thing. And by continuing to practice discrimination in this way, one is able to understand the teachings of Truth more and more, and to sense and absorb them on a deeper level. Through engaging in this process, as its consequence discrimination on ignorance—that is the very root cause of these thoughts and habits—happens. And then that ignorance is renounced. If that act of discriminating the root cause, or ignorance, was attempted at the very beginning, the process would be as elusive as grabbing a cloud. * Siddha Marga is the three-year program that was initiated for the concrete growth of each disciple. It was a program made only for serious practitioners who have attended MYM’s classes regularly for some years and were willing to go further. The program was run between April 2013 and March 2016. It was led by Sananda and Sanatana. Taka also spoke about his experience in Siddha Marga program. He chose Swami Vivekananda as his ideal. He had not really meditated on any Enlightened Being except for Shri Mahayogi, so at the beginning, it was very difficult to focus on Swami Vivekananda. He was, of course, interested in India, where Yoga and religion are well rooted and have developed, but sometime later he really wanted to see and experience how, and in what kinds of places Swami Vivekananda actually lived and practiced. So he went to India. He tried to feel the life and spirit of Swami Vivekananda through communicating with the swamis and devotees in Belur Math and branches of the Ramakrishna Mission, to see and touch and trace the footsteps of Swami Vivekananda’s life and work. 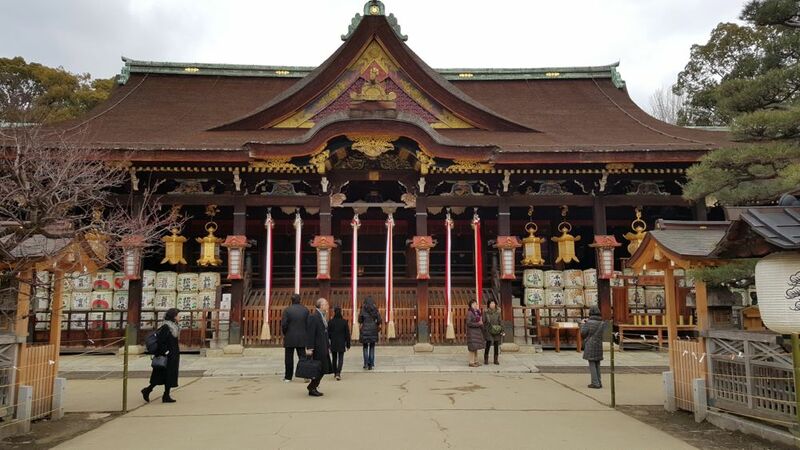 When he returned to Japan, his daily life was very much influenced by meditating on Swami Vivekananda. If there was ever a moment in which he caught the mind in an idle, unfocused state—he would immediately begin to repeat the name of Swami Vivekananda. So, gradually he was able to focus intently on Swami Vivekananda, and he has begun to feel the bliss, or the Reality that he feels when he focuses single-mindedly on Shri Mahayogi. The quality of his concentration was not steady at first, but through persisting and continuing to practice, there was something that he began to understand: the origin of that bliss, or Reality, that he feels from Swami Vivekananda and Shri Mahayogi exists within him. And because of the fact that this experience of Reality is not consistent, some days it is strong and some days it is weak, his immediate goal is then to make it possible to feel this bliss and Reality at all times, endlessly, and to know its essence. He understood the essential need to deepen his learning and restructure his life completely in order to accomplish that task. And this learning and meditation have continued up to now. Upon hearing this, Aniruddha said that he could clearly see that his practice has been an easy one up until this moment. He could feel how seriously Taka meditated on Swami Vivekananda, and he was touched by it. The rest of us were in Kripalu’s car. He took us sight-seeing to the Fushimi Shrine, the iconic Shinto shrine with the vermillion toriis cascading down the hillside. Throughout our visit, Kripalu graciously took care of us in addition to Taka and Yohei. He quit his job right before our visit due to his former company’s relocation to the next prefecture. In order to continue to serve by participating in the works of the MYM, he chose to quit his job rather than relocating with the company. Because of his newly found flexibility, he unconditionally offered us a lot of his time and energy. Very often, he would come to pick up Anandamali, who was serving as the translator and organizer of the trip, at 2 am, or even 5am, to take her where she was staying, at Yoga Vihara, the residence of Yogadanda and Satya. 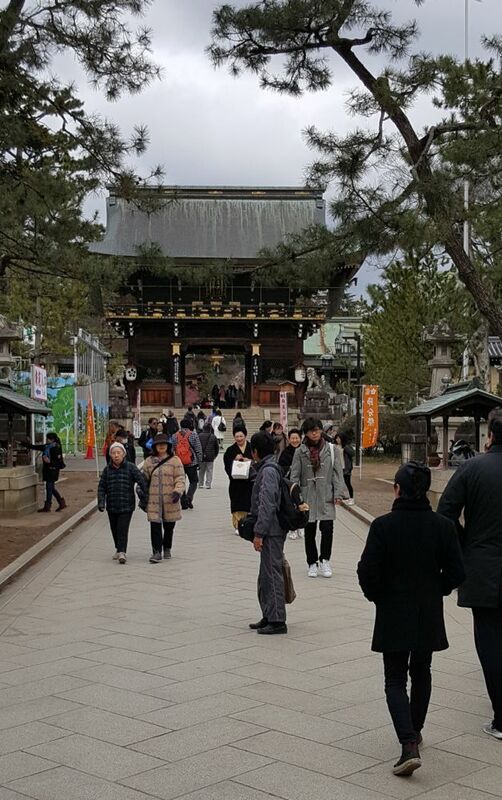 As it turns out, Sunday proved not to be the best day to visit the famous shrine. There were so many people there that we decided to take a side path and find a more secluded area. After resting a little at Shanti Kutira, we visited Seva Kutira, the house of service, to have dinner with Saci, Madhri and Mirabai, who reside there. These three female disciples have been working solely for the Mission for many years, and they are the engine behind many of its activities. Aniruddha was again the first one to ask them a question. In an attempt to get help for himself, he said that he supposed that at the beginning, their focus was not only on Yoga, so what was it that made it possible for them to focus solely on Yoga? They answered very openly and sincerely. Saci said that although when she first met Shri Mahayogi she didn’t understand what Yoga really was at all, she had a feeling that she shouldn’t continue the way she had been living, and that she should not leave her ego as it was, so she thought about trying Yoga. She continued to practice asana every single day, she took everything that was taught to her as being the positive things that she should practice, such as not drinking alcohol or not eating meat. And one year later, there was an incident that made her recognize a great transformation of her mind, and it really amazed her to know that the mind, which had been so resistant to change no matter how hard she tried, could change if she practiced Yoga continuously and persistently over the course of one year. That made her think that Yoga is her life’s work and the one thing that she would continue. Madhri said that at some point, she started to feel that she really wanted to find out what the aim or purpose of life is. While she continued her search, and when she felt that she would not be able to go further, she met Shri Mahayogi. And the firm words spoken by Shri Mahayogi, “The Truth that is unchangeable, exists in everyone,” penetrated her, and she started to feel convinced. Then Shri Mahayogi told her, “Seek seriously only that which is truly precious, and by doing that, the number of things that are equally precious that remain, will be clarified.” Upon hearing this, she began the practice. Mirabai said that she had been seeking the meaning of life, seeking something that she could live for. Aniruddha was really surprised to hear these words. After we left Seva Kutira, Aniruddha said that he was very embarrassed because he had never cried in front of people before. He felt ashamed. 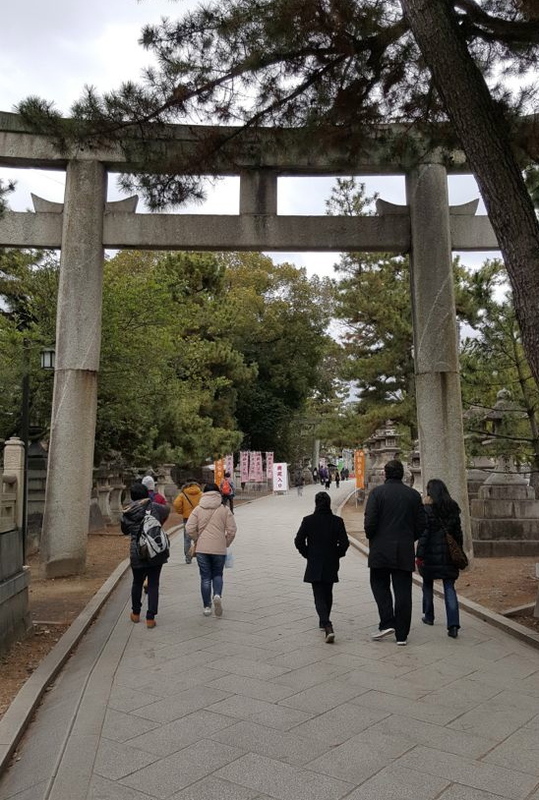 Crossing the first torii (gateway), symbolizing the entrance into the sacred grounds, located at the Shinto Shrine of Kitano Tenmangū (founded in 947 AD) near the Ashrama. Shri Mahayogi used to play baseball here when he was a young boy. It must have been quite different back then. 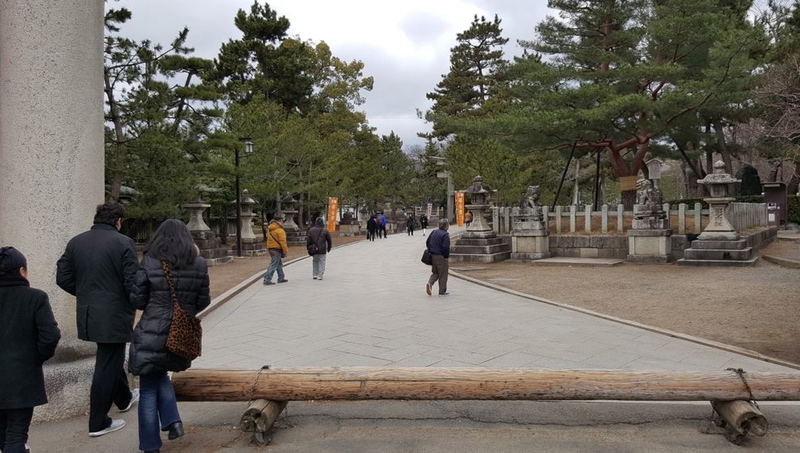 Another torii (gate) to pass through. we write in Japanese “entering the gate”. 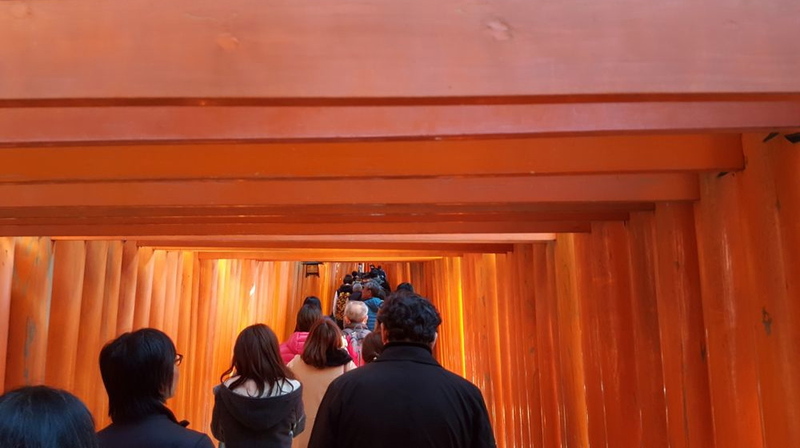 Usually the approach to the Hall of Prayer from the first torii does not follow a straight path. Shri Mahayogi taught me that this is symbolic of the process of purification. Finally, we arrive at the Hall of Prayer. Nandi, the holy cow—this shrine must be for worshiping Shiva!! 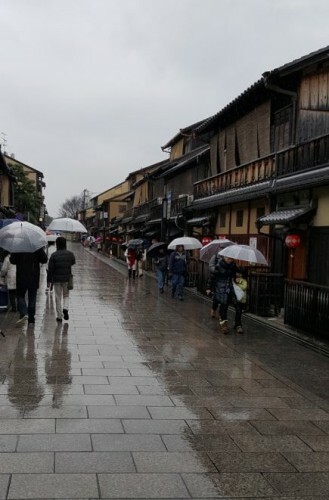 Japan’s ancient capital for 1,000 years. The three brothers had the daily assignment of practicing asana, meditation and attending to the housework. Knowing that there was a dinner meeting with gurubai that evening and knowing that they must not eat for at least two hours after practicing, they returned mid-afternoon to Shanti Kutira, the residence of Taka and Yohei and place where they were staying, to complete their daily sadhana before the dinner would be served. Taka practiced with them, then went to work. He is a social worker, as is Yohei. After completing their sadhana, they rested until the dinner meeting. They must have been tired and jet lagged after such long hours of travelling. In spite of that, they had woken up early and started off the morning cleaning house. And this continued every morning throughout the time they were in Japan, in both Kyoto and Tokyo. Mr. Shimada arrived from his job, and prepared the dinner, assisted by Yohei who had also come back from work. The first night with the gurubai was spent with Sananda, Kripalu, Mr. Shimada and Yohei. Wasting no time, Aniruddha began asking Sananda questions about the practice of discrimination. In answering these questions and throughout the course of the night, Sananda spoke a lot about “the importance of discrimination and daily practice: kriya yoga.” He emphasized that in order to make progress toward the goal of Realization, asana and meditation practice are essentially pointless if you are not practicing thorough discrimination in your daily life. Yohei mentioned that following the instruction of Shri Mahayogi, he had started practicing discrimination thoroughly, not only in meditation but also throughout his everyday activities. He shared a lot about himself, the mistakes he made, his tendencies, and how he has been practicing discrimination strictly. He remarked that it has helped him to clarify his obstacles and goal, so that he can focus only on Yoga. 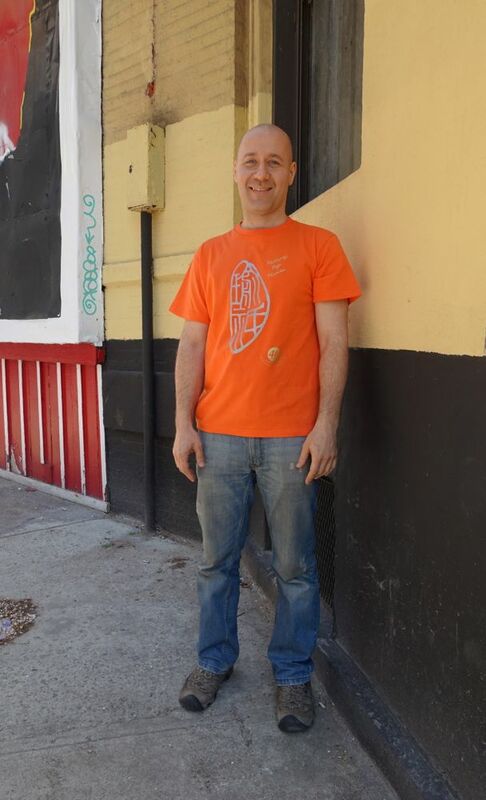 Aniruddha told us later that hearing the fact that Yohei had been practicing discrimination for a year was quite shocking, but then when he heard that he had been following such detail in his practice—this was truly eye opening. He had found the way his brothers had spoken about discrimination so practically to be very inspiring and helpful in allowing him to understand how to dig much more deeply into what the practice really is. For sure, that night’s conversations set the tone for the whole visit. All conversations that took place after that were related to the application of discrimination in daily life—what you eat, how you act, how you spend your time, how you interact with people, etc. Both sections of Pranavadipa Vol. 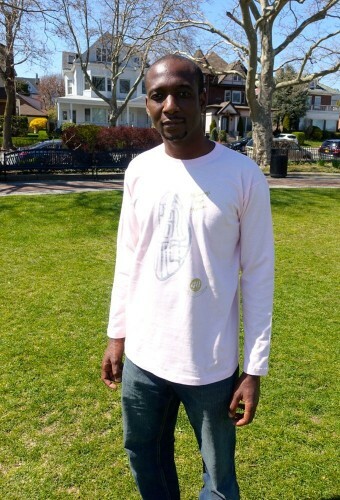 17, Shri Mahayogi’s Satsamgha and the Testimony by Yohei: “Three Gurubai From New York and My Ten Days with Them” are centered on the topic of applying discrimination in daily life. It is a very practical and inspired issue! During her two week visit she will offer a Kirtan program called “Bhakti Sagham: Chant—touch the Love and Joy in the depths of the Soul,” as well as Satsangha, and Asana & Meditation classes. This will be her second visit to Taipei at the invitation of our sangha in Taiwan. 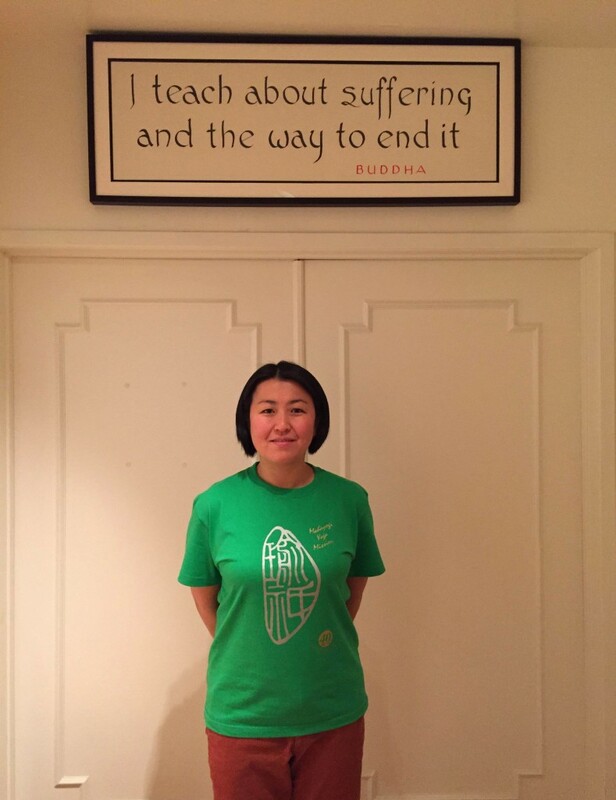 Mirabai has been learning Yoga from Satguru Shri Mahayogi Paramahansa for 15 years in Kyoto, Japan. 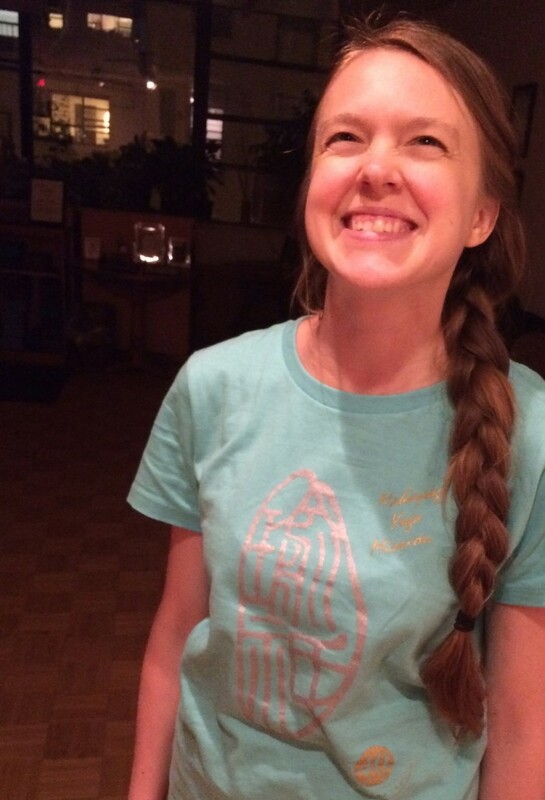 Through dedicating herself to Kirtan, one of the practices of Yoga, she has experienced the transformation of her life into one that is filled with Love and Joy. 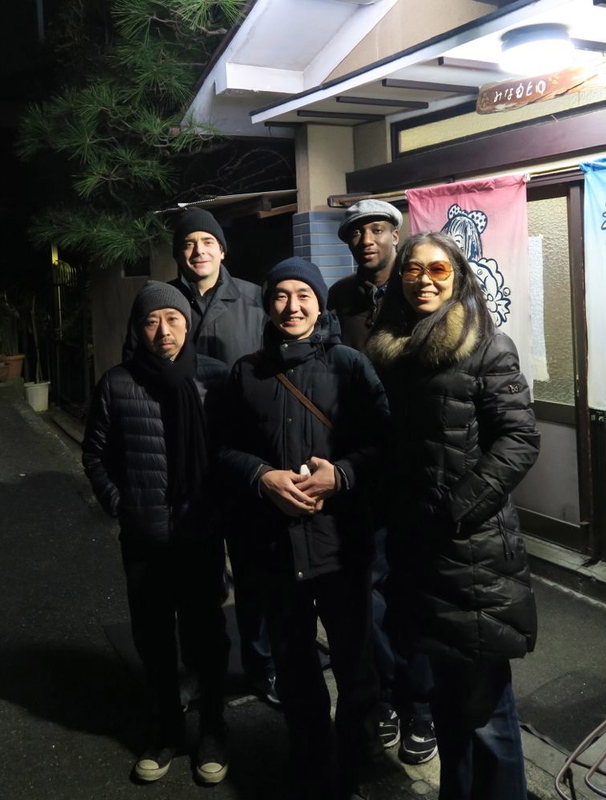 In Japan she is a member of a Kirtan group, known as Shakti, through which she now shares this experience of God’s Love and the Joy of connecting with God. Pranavadipa is a Monthly Publication of Online Study Material containing the Teachings of Satguru Shri Mahayogi Paramahansa ＆ the Experiences of Practitioners that is available by annual subscription. 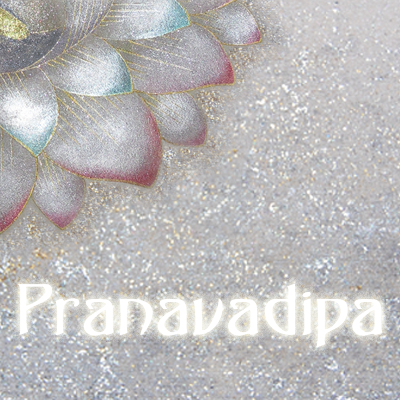 A new volume of Pranavadipa is issued on the 8th of every month, that means Friday April 8th!! !